Oregon Scientific HWI0002 Essential Oil Diffuser Apothecary Bottle with USB Fan is a unique stylish small fan diffuser to spread the fragrance of the aroma essential oil. Relax with fragrances from the HWI0002 Essential Oil Diffuser. Just with few drops of Essential Oils, you will surround yourself with lovely smell. You can also add mosquito repellent oils and it will work as mosquito repellent. Benefits include reducing fatigue to relieving insomnia and lowering mental stress. It is time for you to enjoy a good night’s sleep and energetic morning. Oregon Scientific HWI0002 Essential Oil Diffuser has a dual power source allowing you to use the diffuser whenever you want. You can have it connected through USB cable or with 2 x AAA Batteries. 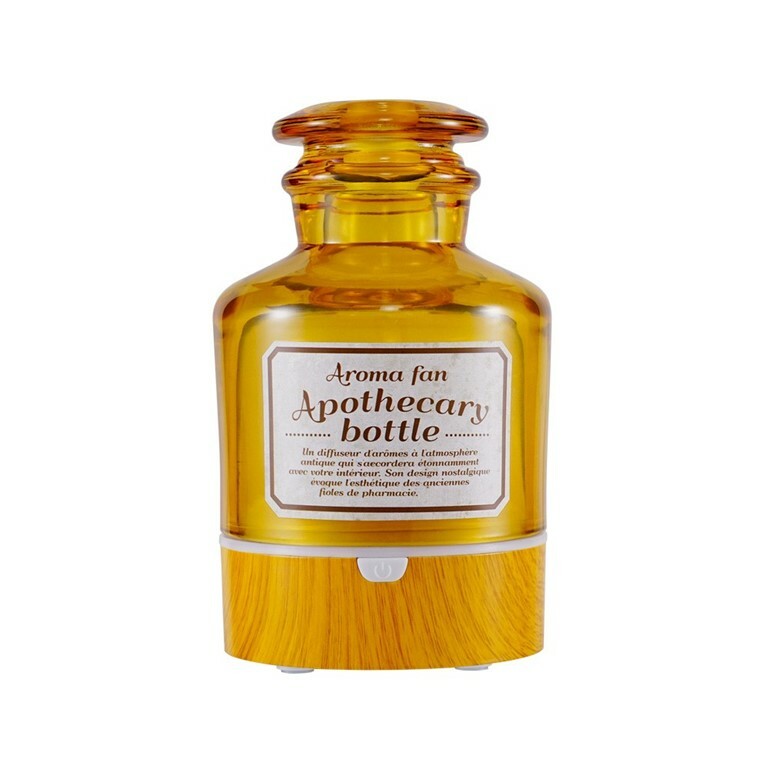 Additionally the Oil Diffuser Apothecary Bottle is light weight and portable, perfect for travelling or business trips. Or anywhere you want: gym, yoga, baby room, office, spa, living room, bedroom… letting you enjoy life anytime and anywhere. Add 1-2 drops of your favourite aroma oil into the sponge and enjoy a fresh sent throughout your house or office. Thanks to its ventilation, it propels the aromas of the essential oils of your choice while preserving their natural virtues.